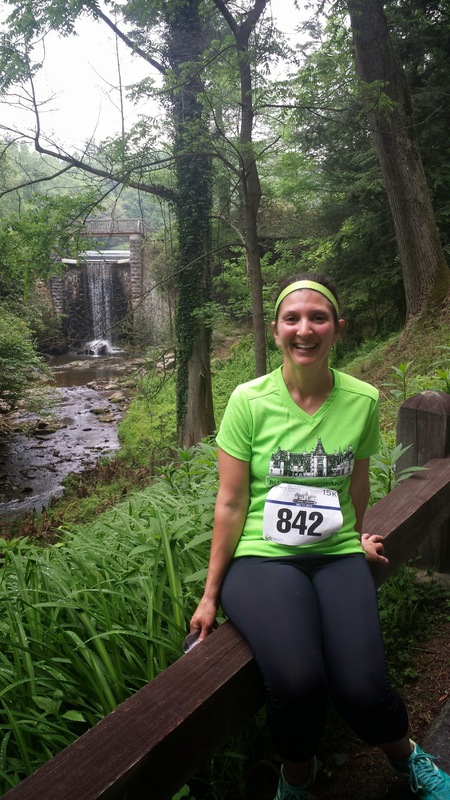 Do you want to run this race this year? Sign up at http://ashevillemarathon.com/race-info/register/ and use PROMO code CRYSTAL2016AMAROCKS and you’ll get a 15% off discount. The earlier you sign up, the better price you’ll get! Also notice they are splitting up the days so that the half is on Saturday and the Full is on Sunday. This is so more runners can get in on the race! I have been lucky enough to have been chosen as an AMA Ambassador this year. 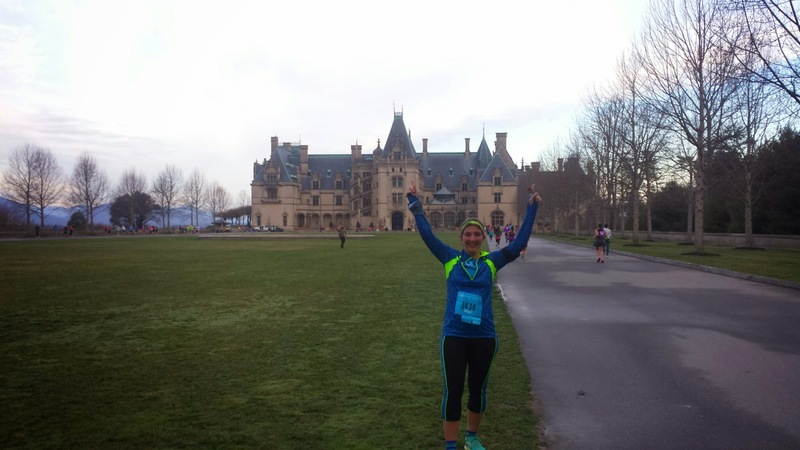 I have run the Asheville Half marathon the last 2 years on the Beautiful Biltmore Estate. As a local, this has been a neat experience. 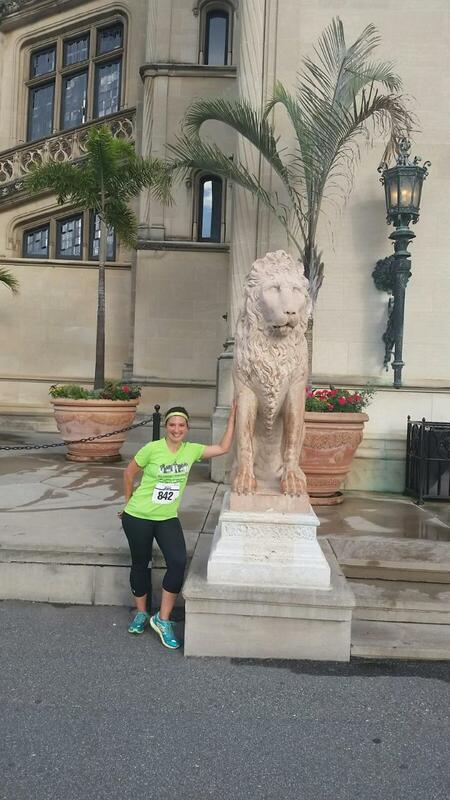 It has been wonderful to hit the 5.5 mile mark as you’re running past the Biltmore house. The race starts flat in the first mile and slowly moves through small hills of ups and downs in the 2nd mile, with a decent hill leading up to the DeerPark Restaurant. The 3rd mile is almost completely downhill to the ticketbooth, however as you turn the corner, the 1.5m uphill starts. Parts are slight, parts are steeper. If you aren’t used to running in the mountains, this will be tough. If you are accustomed to training on hills, it will be hard, but not tremendous. I recommend training on hills to be ready for this. 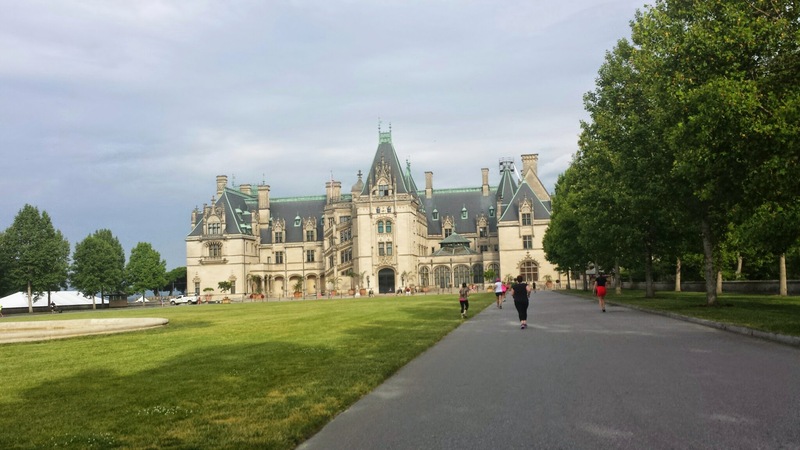 Once you reach the top of the hill, there are still rolling hills of ups and downs until you reach the Biltmore house at around the 5.5 mile marker. Some people choose to take some photos here, some run on by. Once you pass the house, you’ll start a down hill, running pass the Gardens and the pond. Enjoy the fresh air and the opportunity to refresh your legs at this point. 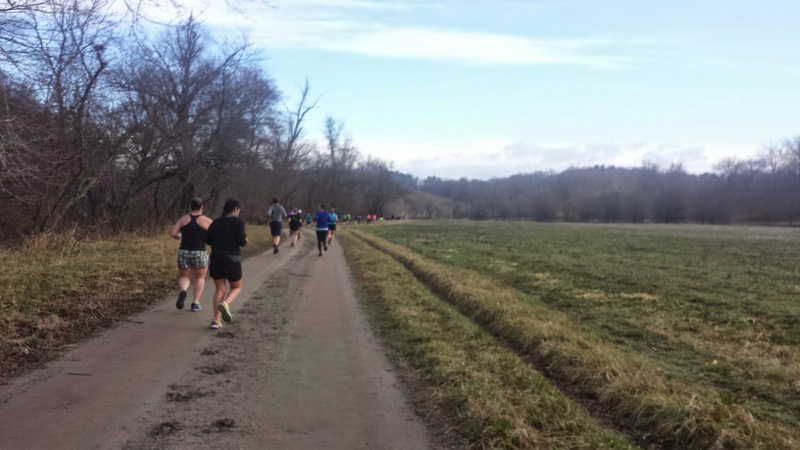 Once you get to the 8 mile marker it starts to flatten out and you hop on the trail that will take you by the River for the remainder of the race. This is very flat. You really won’t see another hill until the last couple tenths of a mile when you are heading into Antler hill for the finish. Another Huge benefit to this race is the season pass discount you’ll receive! If you’re looking to get a season pass, use the ticket from this race to get your season pass. Its the best deal you’ll see offered. I paid $69 for a season pass this year! Again, use PROMO Code CRYSTAL2016AMAROCKS when you sign up!